Jean is a 20 inch panda bear, five-way jointed and handmade from ultra-soft plush. Her fur is beautiful in light neutral hues with brown tipping. Her sweet expression comes together with a hand-stitched nose, subtle airbrushing and endearing glass eyes backed with felt disks for an adorable 'love me' look. Jean has ultrasuede 'tickly toe' paw pads with embroidery, sculpting and airbrushed details. For the finishing Charlie Bear touch, she wears a beautiful lace collar tied with a lovely satin bow. 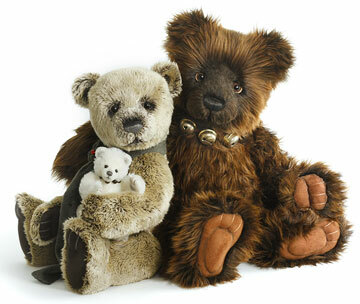 A beautiful bear you are sure to love. 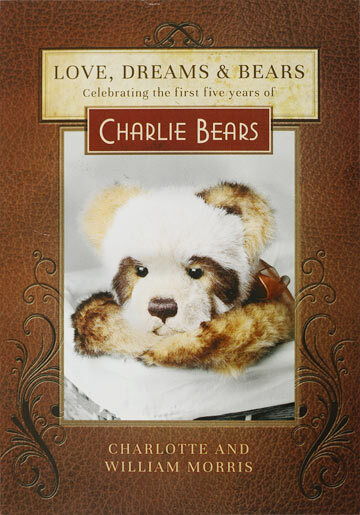 Jean Panda is part of the 2019 FOLKLORES & FABLES: Charlie Bears Collection. Suitable for ages 3 years and up.